Moving home is a great opportunity to compare the cost of what you are spending on your utilities at present against what you could end up saving and there are plenty of websites where you can make these comparisons and they will also do most if not all, of the necessary administration on your behalf so that you’ve no need to make the switch to another company yourself. Perhaps you’ve already used these comparison sites to switch suppliers previously. If so, don’t simply assume that you know which supplier offers the cheapest prices. Whilst that might be the case for your old home, you might just find that other suppliers are available in the location you are moving to that might end up being cheaper still so it’s worth making another comparison. If you’ve decided to stick with the existing utilities suppliers in your new home and they are the same suppliers as in your old home, all you need to do is to contact them about a month or so before you leave to inform them of your pending change of address and the date on which it is proposed to take place. The companies will then make a note of that on your records and you will be probably be sent an estimated bill based upon your previous usage and taking into account the date you intend to move. Keep hold of this estimated bill and then on the moving day itself, take an accurate reading of all your meters as you leave your house for the final time. That way you can then contact the companies to settle any additional amount in full or, if you’re lucky, they might have overestimated your bill which they’ll be able to re-adjust when they send you your first bill in your new home. It’s also important to take the meter readings of your new home as soon as you are in and let the companies know those readings too. If you’ve done all of your comparisons and have decided that you would be better off switching suppliers in your new home, simply follow the procedures above. Once you’ve provided the suppliers with the final readings as you leave your old house, they’ll then send you a final bill to your new address if they’ve underestimated the bill or will send you a cheque or credit your account (if you pay by direct debit or standing order), if they have overestimated it. As for your new supplier in your new house, you may find you’re issued with a bill shortly after moving in if their billing cycle corresponds to close to the date when you actually move in. Once again, you should provide them with an actual meter reading from the date you move in to ensure you’re not paying extra for utility services used by the previous occupants. 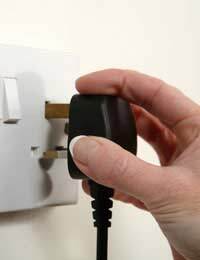 The comparison sites have now made switching utilities even easier than ever and there are some great savings which you could make if you shop around. Furthermore, even if you do decide to switch suppliers, that doesn’t necessarily mean you’re stuck with them for life. You can use them for a while and then shop around again to determine if they are still the cheapest and, if not, switch again. It’s often useful to ask the people who are occupying the house that you’re going to be moving into how much their utility bills came up to each month or year as it may well be that the house you are moving to is bigger and therefore the costs might be naturally more expensive so it’s a good idea to gauge your spend by asking them if they could tell you how much they are spending on utilities each year. And, remember, it’s not simply about gas, electricity and water these days, you might find you can also make utility savings on your phone, broadband and cable or satellite TV so it’s well worth shopping around and utilising the comparison sites. The important thing to remember is to give your old supplier 28 days notice of your intent to switch and to allow up to 6 weeks for any transfer of supplier to take place also bearing in mind that, in certain instances, you may have to ensure that your old supplier has been paid up in full before they can allow your new supplier to take over your utility provisions.